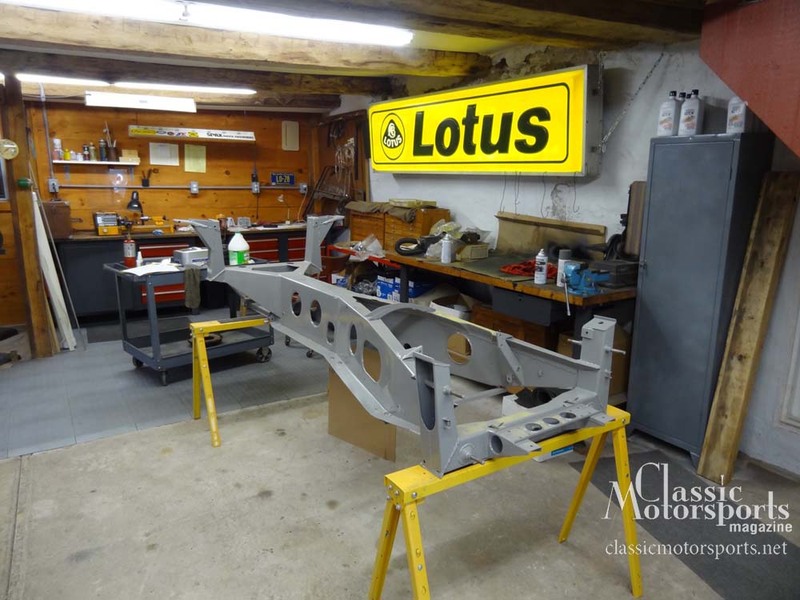 With the arrival of our Lotus Elan project, we were advised by several folks to make a visit to Twin Cam Sportscars in nearby Sarasota, Florida. When we walked in the door and saw the beautifully restored Series 2 Elan in the shop, we knew we were in the right place. Owner Steve Smith was born in England and has been working on “twinks” as he calls Lotus twin cam engines, his whole life. He vintage races a Ginetta and an Elan and comes very highly recommended for Lotus engine rebuilding. Once we gather all of our parts and finish our Triumph TR3, we plan on starting the first of the year and taking our engine down to Twin Cam Sportscars for a rebuild. 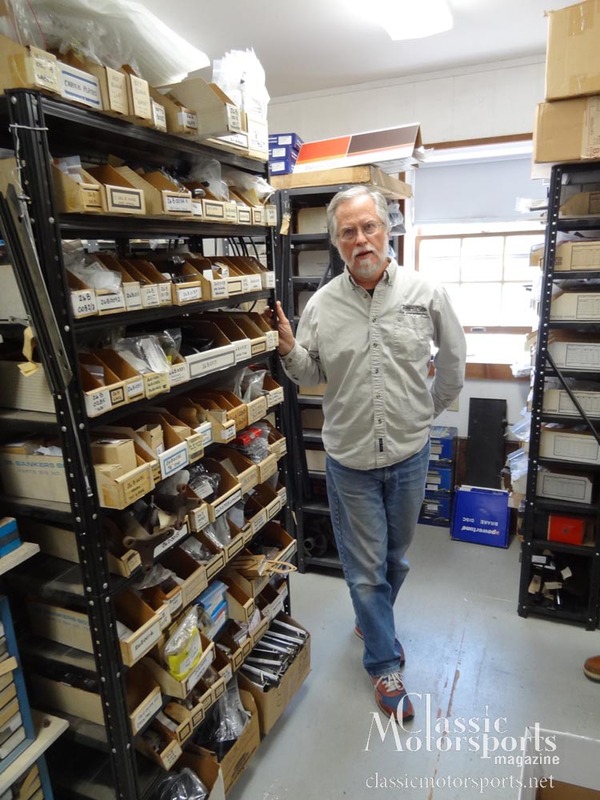 Steve also has a pretty good stash of used Elan parts and we were able to source a seat, a fuel tank with filler, and a rear A-arm for our project. Soon after we announced our crazy Lotus Elan project car we heard from Frank Filicicchia, of Famous Frank’s Lotus Parts in Marietta. He is well known in the hobby as the guy who remakes Lotus interior parts. We got most of what we need for our interior from Frank and he also has the door glass and rear bumper we were missing. All of a sudden, a major portion of our puzzle had been solved and we were a few steps closer to having a whole Elan again. On a visit to Pennsylvania we made a stop at RD Enterprises. We were blown away not only by the gorgeous centuries old farm that RD Enterprises is housed in, but also by their passion for the Lotus marque, and Elans in particular. Their friendliness, extensive inventory and stellar reputation in the hobby and fair prices cemented the deal, and we knew we had found our primary new parts supplier. Owner Ray Psulkowski also has some used parts laying around and he supplied us with a beautiful pair of seats, as well as some of the other parts on our list. I will be interested in reading how much of the original car ends up in the finished project. I am guessing that in a two column itemized list, it would be the shorter column. Sounds a bit like George Washington's axe. Did the axe have a VIN? One of the main elements of any restoration is the sourcing of parts, many unobtainable. Looks like your well on you way Tim! Glad you got to go to Ray's business location. It is very unusual location and a great drive for those of us that live in the vicinity. Plus you get to talk to one of the experts in the industry who has immense knowledge.